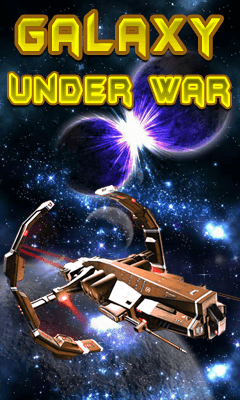 Enjoy the best of the space war game with "Galaxy Under War". "Galaxy Under War" is a new action packed game with superb control and graphics. In "Galaxy Under War" you have to control a spaceship of your own. Control it and fight with the spaceships of the enemies. You have to fight against them with full effort, because they are in a big number and are firing at you. You have to dodge their firing and avoid collision with them too. As they are gradually proceeding towards you, you have to kill them all before they collide with you. If you collide with them you will decrease your health bar. Once it reaches zero you will lose the game. Many amazing,Interesting and difficult levels are there for you to clear. Fight with them and win the battle. because "Galaxy" is yours.... You can Download it for free and provide your feedback by posting reviews. Have Fun !!!!!! !